5% Off Of Your First Move!" 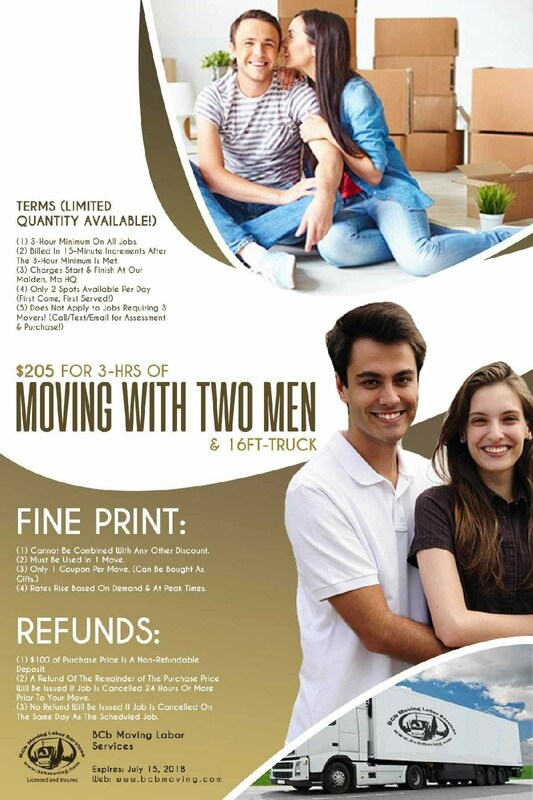 Call us today to schedule your move and receive 5% off your first move. Cannot be combined with any other discounts or a discounted rate. Mention or Print this coupon to receive discount. Cannot be combined with any other discounts or a discounted rate. Mention or Print this coupon to receive discount. STUDENTS GET AN EXTRA $10 OFF! Combine it with any other discount, if applicable. Posted Rates Only — See our Calendar. 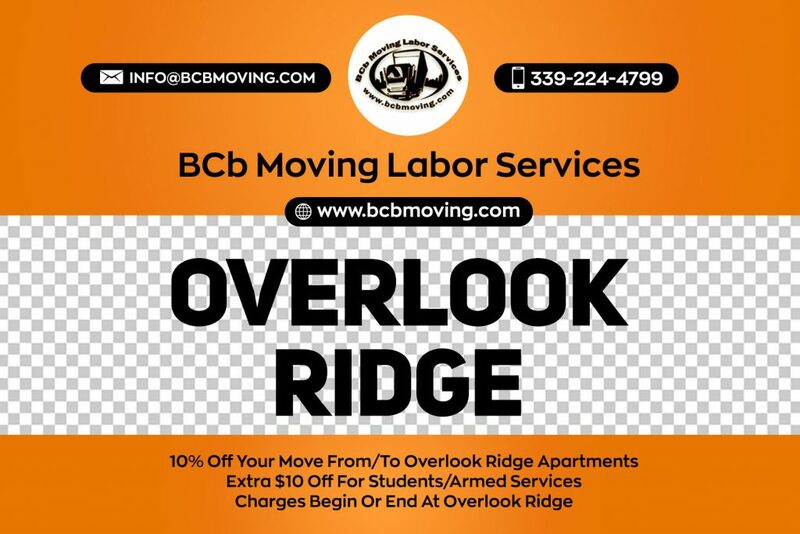 BCB Moving & Labor Services prides itself on providing the best moving and labor services in the Boston area. We focus on reliable, efficient and personalize service at reasonable prices. BCb Moving Labor Services is built to be the next step in the labor industry. We provide specialized labor work through our main staff and network of independent movers. Everything from moving (which is our main function) to deliveries and interior arrangement designs ( the latter will be launched in 2015). The office is closed on all major Holidays! Sunday – Emails or Emergency Calls Only!